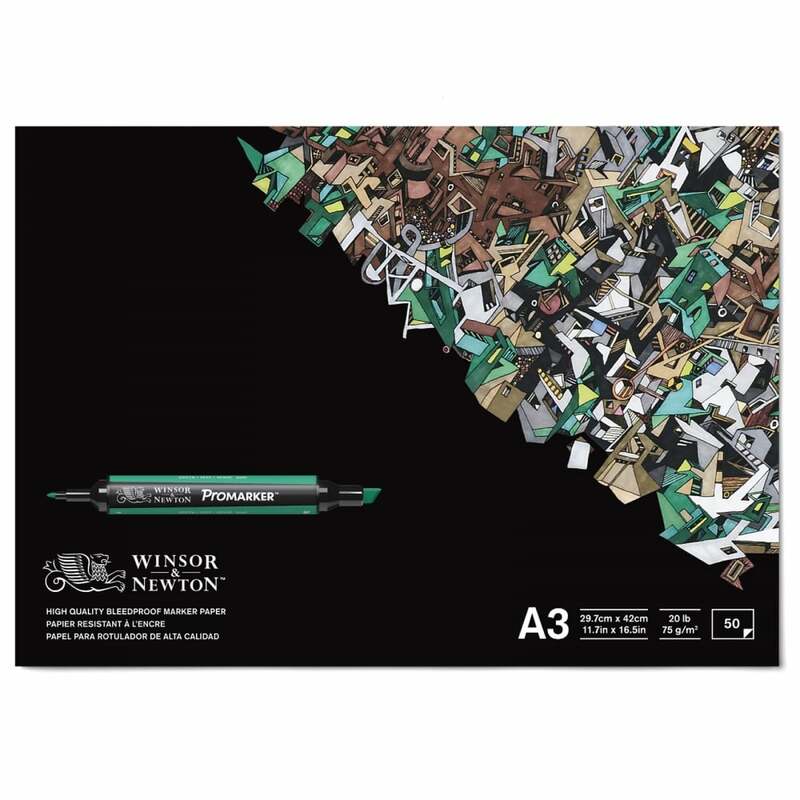 The A4 Bleedproof Paper Pad consists of 50 sheets of specially treated paper at a weight of 75gsm. Ink bleed is prevented, to ensure all lines are clean and precise. Whether using BrushMarker or ProMarker, colours come across rich and vibrant and, when used in conjunction with the Blender, unlimited tonal variations can be explored.